Even a quick reading of Scripture will show the importance of Covenants. The more a subject or word is used in the Bible the more we know it is important. If God takes time to talk about a subject repeatedly it reveals its value to God and it ought then to be a high priority for us. This word is used at least 26 times in the book of Genesis [where 4 out of the major 7 testaments are given!]. 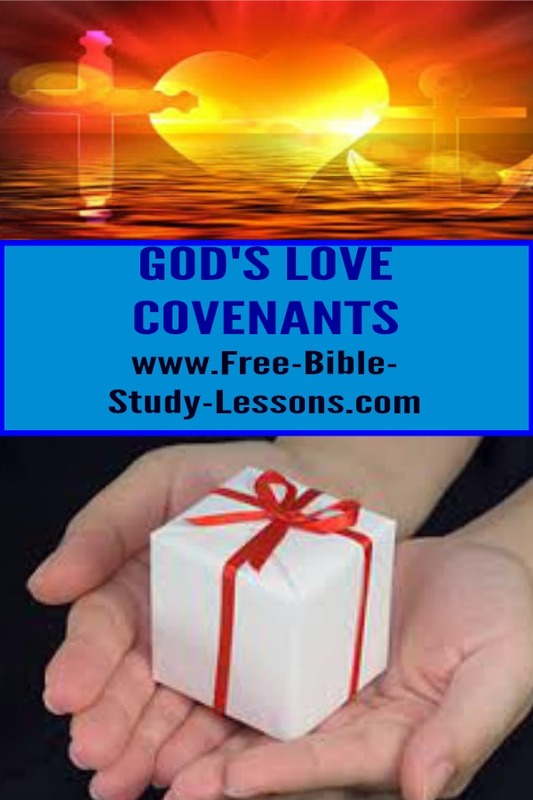 “Covenant” is used 227 times in the rest of the Old Testament and 33 times in the New Testament. Is God trying to get our attention? Yet many Bible Schools and Seminaries do not even mention the topic. The ones that do usually cover it very quickly. Much of the popular error which is taught today about the “end-times” and related topics would be eliminated by a proper understanding of Covenants and God’s work and purpose through them. So why is this study important? God is intelligent. He does not do things just on a whim. He has a purpose and plan in the world. He has chosen to reveal that purpose through a series of covenants or testaments. When I say “a purpose”, I mean exactly that. God has one overall purpose for His creation. This single purpose is revealed in successive stages. There are some Christians who believe that God works in a disjointed way, with different plans for different people or eras. A study of this subject reveals there is, indeed, only one plan. The Lord, our God is One. Each of the Seven Covenants we are about to study is intimately linked to the one before it. Each Testament reveals a new stage and shows a new and fundamental aspect of the Truth in the plan of God. This progression is like starting in school with addition and advancing over time to algebra. No first grade student starts with algebra! Even so God reveals His plan step-by-step. If we jump to the New Testament without understanding the foundation on which it was built we will fail to understand [or will misapply] all that it encompasses. So we need to start in Grade One with the first Covenant and then work our way through each one in turn. It is important to do them in their proper order. God’s eternal purpose centers around Jesus Christ and we know that salvation is through Him alone. “The determinate counsel” shows us that God had a plan in the very beginning. When the Jews crucified Jesus they did not take God by surprise or alter His eternal plan one bit. In fact, it was in the plan all the time. Covenants reveal God’s eternal plan as it relates to mankind one step at a time. This course, written by Rev. 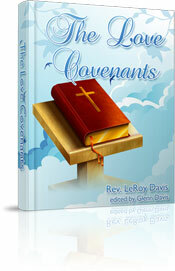 LeRoy Davis, will take you through each step on the way [Eden, Adam, Noah, Abraham, Moses, David and Jesus]. You will see in Scripture how each plan developed and how it works with the ones that went before. You will develop a solid knowledge of subject. Do not miss this unique opportunity. To begin this vital study CLICK THIS LINK and place your name and e-mail address on the form. You will be sent your first email with the link for the first PDF Workbook immediately [check your spam if you don't get it within an hour]. The average workbook is 35-40 pages. The workbooks contain questions and tests and come with a Score Key. They are ideal for home study, Bible studies, Church training programs, and schools. The link for the next workbook will be sent in 7 days. This will continue until you either unsubscribe or receive all 21 workbooks. The easiest way to share this amazing course with your friends or on social media is by sharing the short video below. Copy and paste this link: https://youtu.be/a0SIlJlRlJY or just click the share button on the video. Pass on the blessing to others.